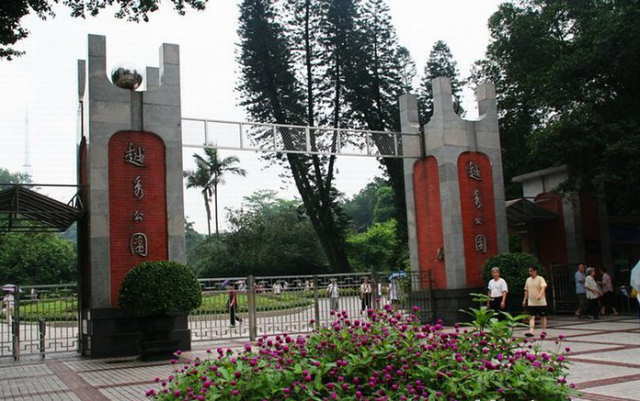 Located in the north of Guangzhou, Yuexiu Park is the largest urban park in China. 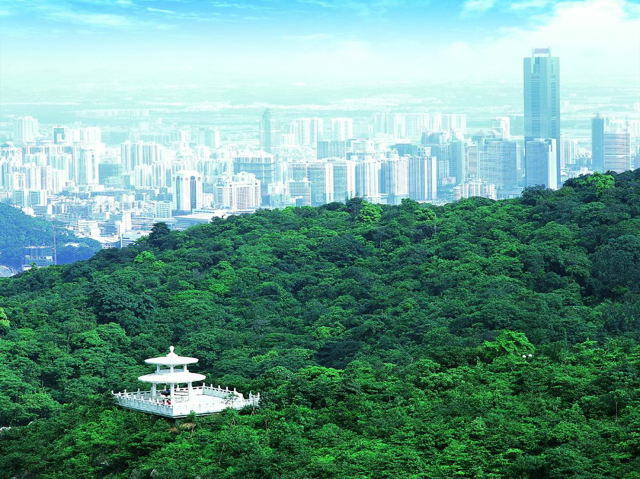 With an area of 920,000 ㎡, the park is made up of three artificial lakes and seven hills of Yuexiu Mountain. 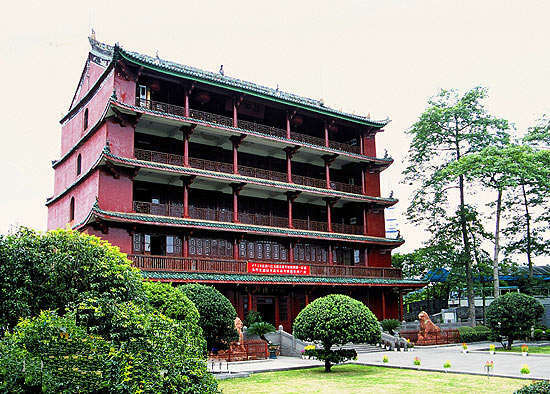 Yuexiu Park is a perfect combination of cultural relics and ecological tourism, reputed for its pretty water and hills as well as cultural relics. 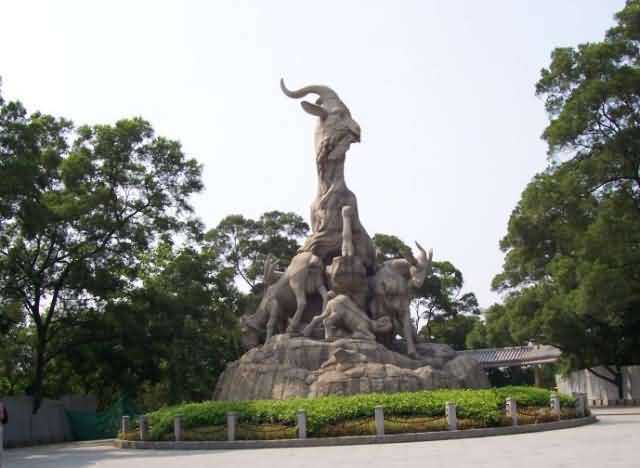 The major attractions in the park are Five Rams Stone Sculpture, Zhenhai Tower, Sun Yat-sen Monument and the ancient city wall. 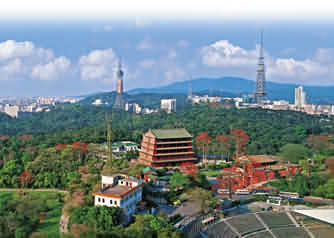 It is one of the eight scapes in Guangzhou and also the landmark of the city. 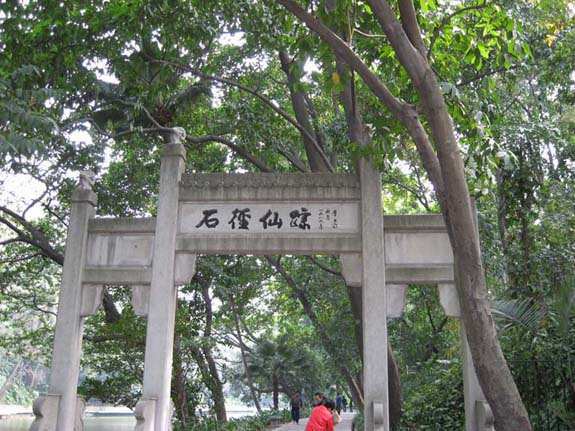 As an ecological park, Flowers and trees are planted all over Yuexiu Park. Spring flowers display and chrysanthemum show are held respectively in spring and autumn every year. There is a stadium in the park with a capacity of over 30,000 spectators and a swimming hall with a capacity of more than 5,000 spectators, plus other places for sports. There are three man-made lakes in the park; they are Dongxiu Lake, Nanxiu Lake and Beixiu Lake. The lakes are nice places for drawing, whiffing and sketching. The garden exposition fair is held in Yuexiu park every year. 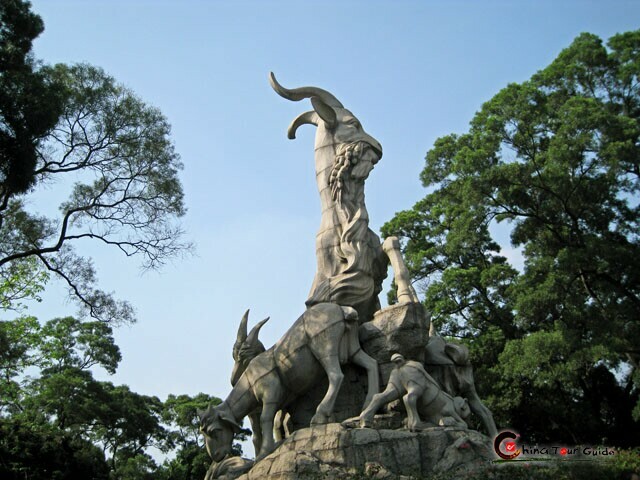 As one of the most famous sculptures in the city, the Five-Ram Sculpture has become the emblem of Guangzhou City. There is a legend about the sculpture. More than 2,000 years ago, Guangzhou was a barren land, and people there are suffering from famine. 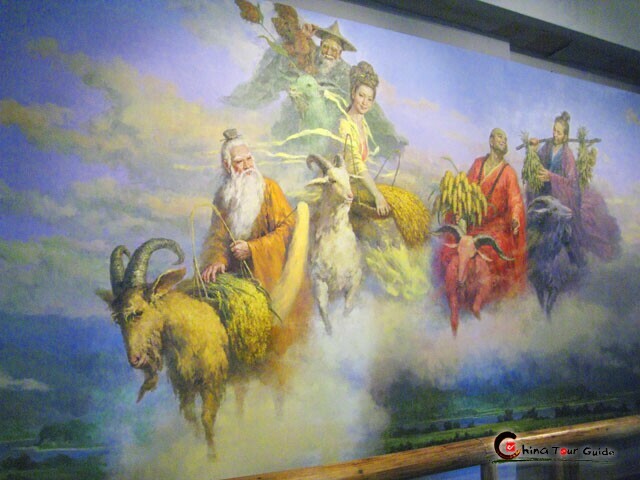 One day five immortals riding on five rams came to Guangzhou and sent eminent rice seeds to the locals which brought bumpers to the people. The immortals left and the rams turned into stone and the city of Guangzhou became a rich and populous place from then on. That is why Guangzhou has the name of "the City of Rams". Formed by more than 130 pieces of marbles, the sculpture is 11 meters high. The five rams are in different sizes and gestures attracting the tourists. 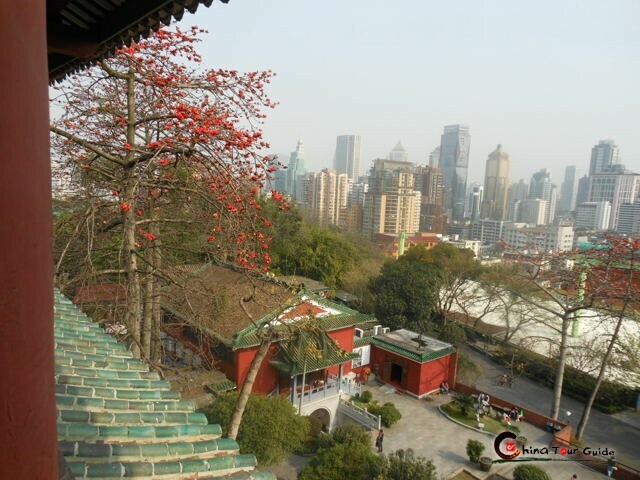 Built in 1380, Zhenhai Tower is one of the landmarks in Guangzhou. It is reputed as the first scape in South China. 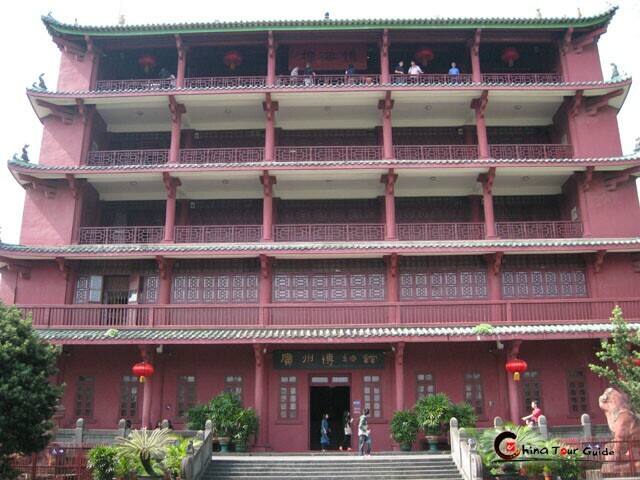 It was changed to Guangzhou Museum in 1956. 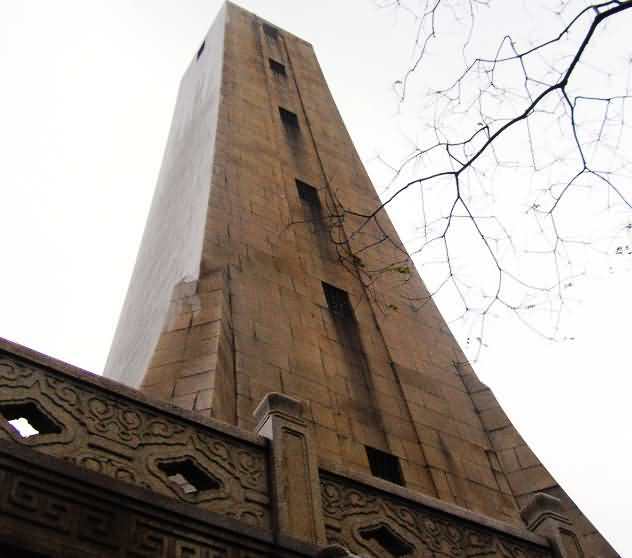 The tower is 28 meters high and 16 meters wide. 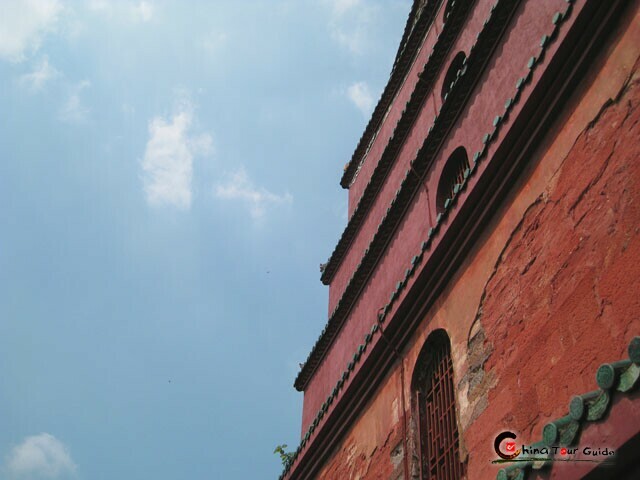 The striking contrast of green glazed titles and red walls makes the tower elegant. Like George Washington in United States, Dr. Sun Yat-sen (1866.11.12-1925.3.12) is honored as the Founding Father no matter in mainland China or Taiwan. He led the revolution of overthrowing the Qing Empire, the last feudalism society of China and committed himself to the found of democracy. 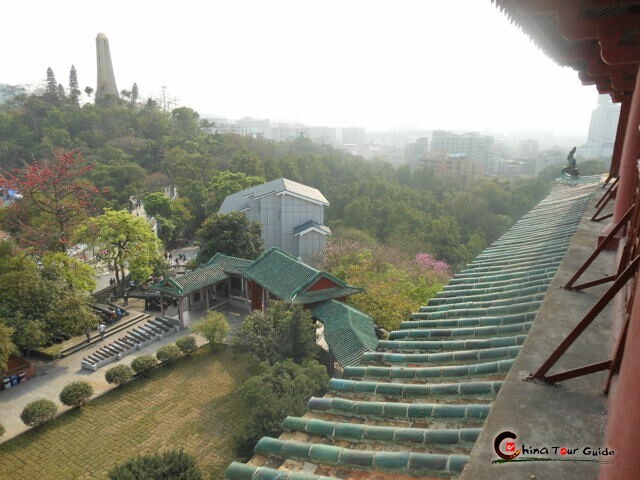 As we can see from its name, Sun Yat-sen Monument is built to memorize our founding father Sun Yat-sen. Built in 1929, the body of the monument is formed by marbles of 37 meters in height. The bottom of the monument is in square shape and it gradually becomes peaked from bottom to top. There are 26 sheepshead sculptures on the base of the monument which represents the "city of Rams". 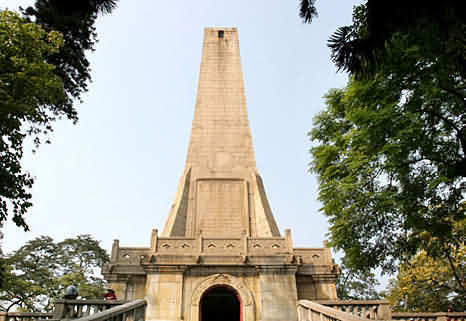 A 7 meters high, 4 meters wide marble is in the front of the monument on which sculpted the will of Mr Sun Yat-sen. Starting from Xiaobei gate in the east, the ancient city wall is extended for about 1100 meters to Dabei gate in the west. 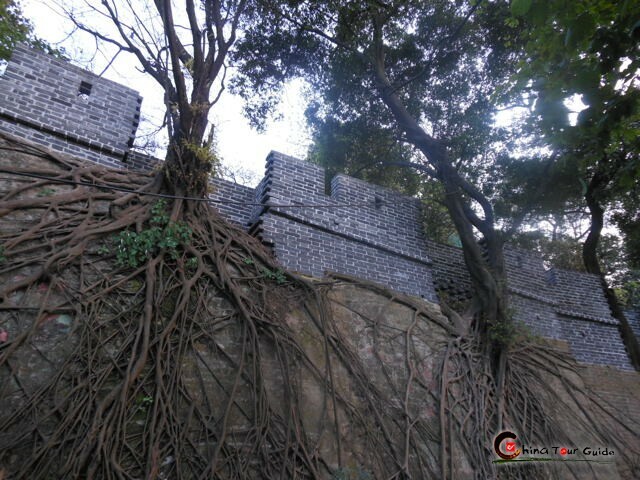 With a history of 600 years, it is the oldest city wall in Guangzhou city. 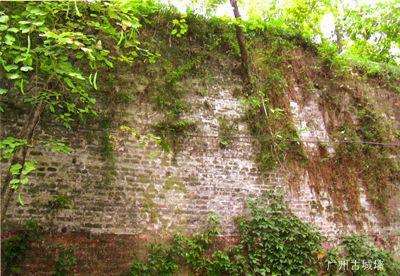 About 200 meters of the wall can be seen in Yuexiu Park behind the Sun Yat-sen Monument. 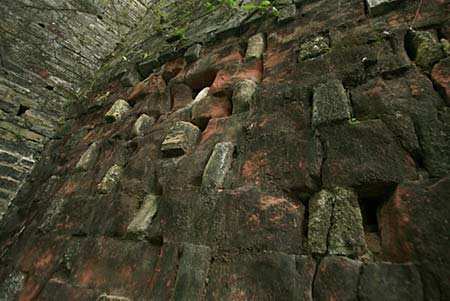 The ancient city wall is the history witness of this city.